Healthy Inside ~ Fresh Outside..!! : Which spread is better for my heart — butter or margarine? 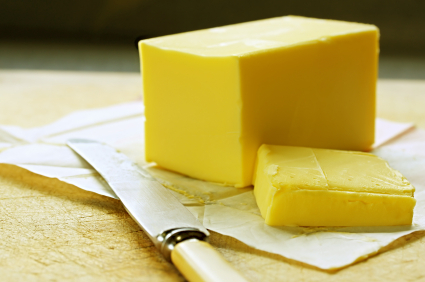 Margarine is made from vegetable oils, so it contains no cholesterol. Margarine is also higher in "good" fats — polyunsaturated and monounsaturated — than butter is. These types of fats help reduce low-density lipoprotein (LDL), or "bad," cholesterol when substituted for saturated fat. But not all margarines are created equal. Some margarines contain trans fat. 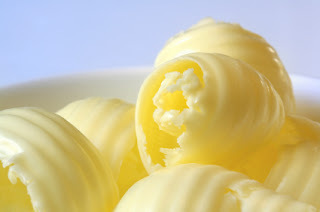 In general, the more solid the margarine, the more trans fat it contains. So stick margarines usually have more trans fat than tub margarines do. Trans fat, like saturated fat, increases blood cholesterol levels and the risk of heart disease. In addition, trans fat lowers high-density lipoprotein (HDL), or "good," cholesterol levels. So skip the stick and opt for soft or liquid margarine instead. Look for a spread with the lowest calories that tastes good to you, doesn't have trans fats and has the least amount of saturated fat. When comparing spreads, be sure to read the Nutrition Facts panel and check the grams of saturated fat and trans fat. Also, look for products with a low percent Daily Value for cholesterol.